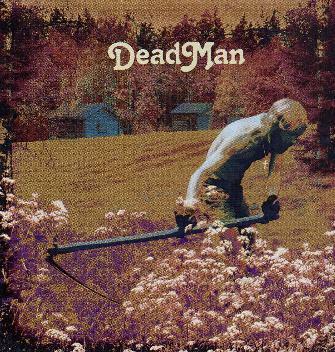 DeadMan are a Swedish band who play psychedelic rock music and have a taste for the late 60's. This is their debut CD, having released their debut 7" last year on Crusher Records. The CD begins with the great track, "Goin' over the Hill", which will take the listener back to 1967 for sure with the great vocal delivery that is very much like Quicksilver Messenger Service and Jefferson Airplane. Great song. "Haunted Man" is a cool track with a nice fast rhythm driven by the cool drums-bells and acoustic guitar. "Mumbo Gumbo" is a short piece with a nice groove and cool harmonica. "Season of the Dead" is an acoustic ballad with a country-folk like appearance but it holds much more and some cool instrumental playing in the middle. "Further" shows the band rocking with a great footstomping number and some cool dual psych guitar solos. "Highway" begins with a bass line and they slowly layer in some laughs and acoustic guitar before the track picks up and rocks! The CD ends with the long (14 minute) "Deep Forest Green", which shows the band stretching things out and experimenting. Great debut CD. I hope to catch the band live soon! For more information you can visit the Crusher Records web site at: http://www.crusherrecords.com.